© 2008 Extron Electronics. All rights reserved. Pricing and speciﬁcations may change without notice. Twisted Pair transmitters, receivers, switchers, and distribution ampliﬁers. integrity of the signal, resulting in improved picture quality. color-coded twisted pairs of 23 AWG wires and can be terminated with RJ-45 connectors. *Not recommended for Ethernet/LAN applications. 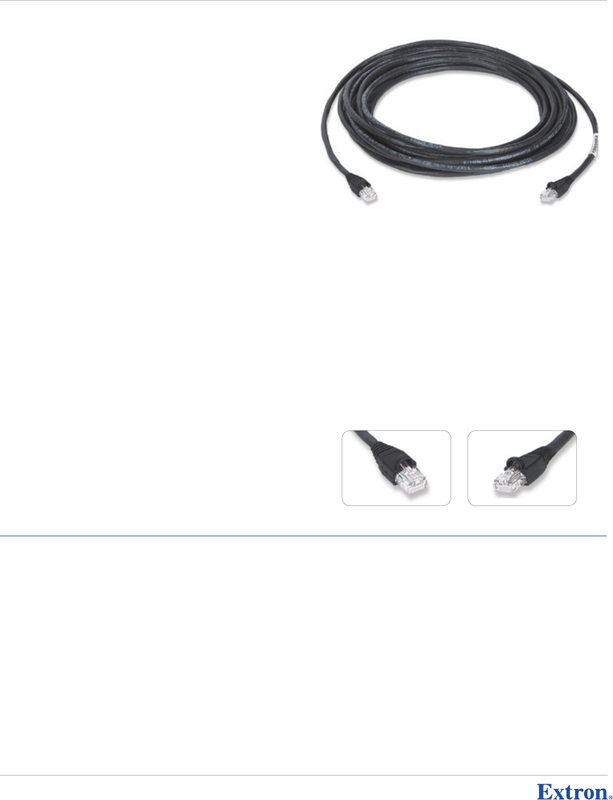 For cable speciﬁcations, see page 727.